Nothing can seem as futile as attempting to clean your house when you have small children. No sooner have you finished then the kids have come in and your once-pristine (for all of 10 minutes) home now looks like a tornado has hit. It's even worse every spring when everyone suddenly starts talking about cleaning as if it's the first thing you really think of as soon as days start to look brighter. Who really wants to spend hours, days, cleaning your home from top to bottom and then sit and weep whilst the kids destroy your efforts in seconds? 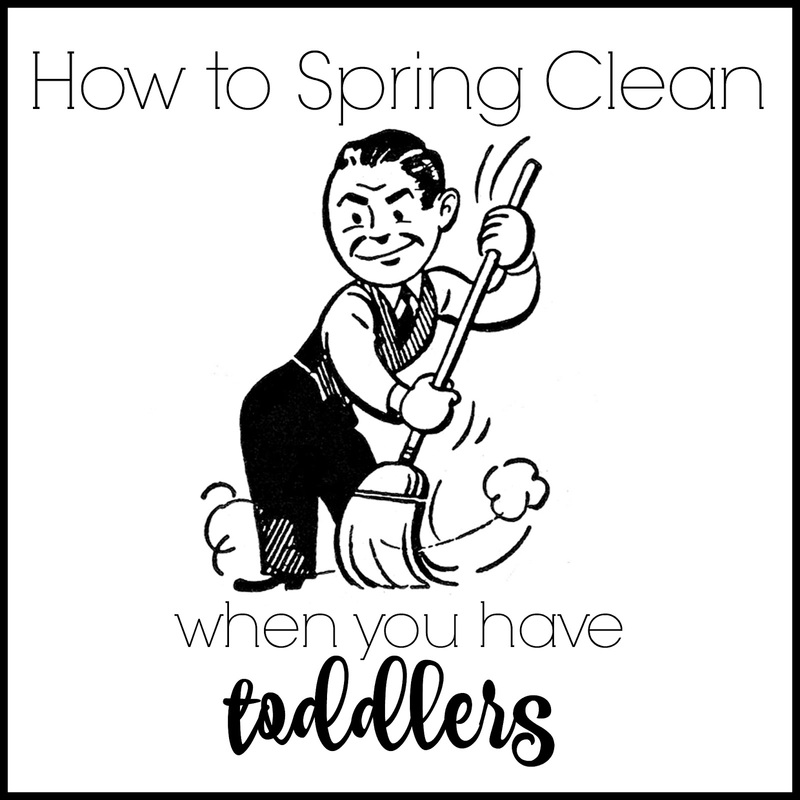 But with the cleaning crying out to be done and spring as good a time as any to attempt organisation, here are my top tips for spring cleaning when you have little ones. Yes, a clean house is a necessity. A tidy home is wonderful. But it isn't everything and it isn't that important in the grand scheme of things. Parents are always told to make the most of our children because the years fly by and then we'll miss the mess, the noise and the chaos once they have flown the nest. Truth be told, I will miss the noise, the madness and the cuddles from my children, but I will not miss the never-ending mess and laundry. Will I miss having the children to blame mess on? A spring clean is not a one-person job. Everyone needs to be prepared to get involved with organising, cleaning and tidying. Clear one weekend in the diary and make sure your partner helps out too. I believe in encouraging the children to help and have brainwashed taught Lily and Ollie that dusting is a treat for tidying all their toys away. "Anything not in the right place goes in the bin!" Be realistic. A thorough clean and decent tidy up is not going to transform your home into a double page spread in an interiors magazine (unless it's usually like that, go you, I'm not jealous at all). I usually end up disappointed after a day of hoovering, dusting and chucking things out when I look around my home and realise that it's still the same, just missing a layer of dust and toys. It's less disheartening if you have a 'glass half-empty' attitude to begin with. Once finished, you can celebrate by topping up your glass of wine and watching the reflection of the sunset in your sparkly clean windows. The toddler in all of us will want to just get the job done as quickly as possible, the teenager will be happy with hiding the mess out of sight but it's pointless doing it at all if you're not going to do it right. And seriously? If you do it right now, you can still be patting yourself on the back when next spring rolls around! Do you have any tips for spring cleaning? Please share, you can probably tell, I need all the help I can get! This is a great place, it’s superb that the people from these LA venues recognize that the holiday party is the time to celebrate not only the year’s achievements, but the talent and teamwork that made those achievements possible.